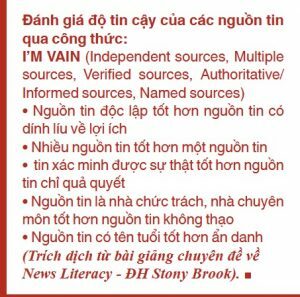 News Literacy, a curriculum created at the Stony Brook School of Journalism, is now taught at universities in Vietnam, Malaysia, Myanmar, Australia, Russia, Hong Kong, and Poland. 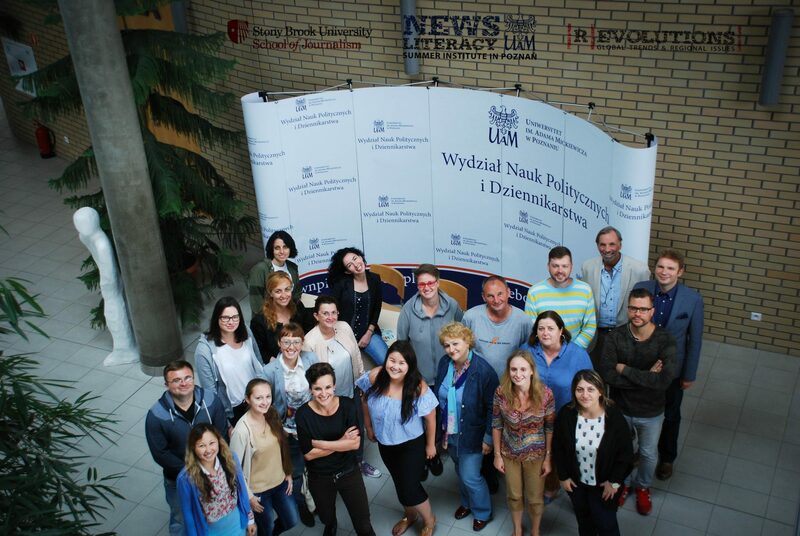 Partner universities in Hong Kong and Poznan, Poland have formally established regional news literacy centers that actively spread our curriculum to nearby countries. The Vietnam National University of Social Sciences and Humanities in Ho Chi Minh City will begin spreading news literacy in Southeast Asia in 2017. The Stony Brook course teaches critical thinking about news and information. Each partner institution adapts and adopts the curriculum to meet local needs and conditions, but they all adhere to the key concepts of the course, sharing with their students the same lessons that over 10,000 Stony Brook undergraduates have learned in the past 8 years. As he explained his concept to Journalism School Dean Howard Schneider in early 2012, many countries such as China were moving from news media that were completely controlled by the authorities to more open information environments. Whereas in the past most people knew that the state-controlled media tended to completely one-sided coverage, social media and other pressures had begun to make them more balanced and fact-based. That, coupled with explosion of unfiltered information on social media platforms, had created new challenges for citizens trying to finding reliable information, challenges that News Literacy is uniquely equipped to address. Introducing this course has presented interesting challenges in each country, not least of which was deciding what to call it, as news literacy can be difficult to translate. In Vietnam, for example, the Journalism Department of University of Social Sciences and Humanities in Ho Chi Minh City has produced, with our help, a 100-page booklet packed with News Literacy lessons, but they call it a Manual for Smart Readers. The process of spreading News Literacy has created a community of educators who now regularly share their insights, innovations and frustrations with each other. Perhaps the most remarkable element of this process is the way these interactions have reshaped the way we teach News Literacy at Stony Brook. In effect, we have created a globalized curriculum from what began as a particularly American take on what constitutes reliable information in the 21st Century. In January 2016, the Center for News Literacy launched its first online course, Making Sense of the News, using the Coursera platform. The course is on news literacy, but this MOOC is only possible because of the work done by our partner at the U of Hong Kong. In 2012, the Journalism and Media Studies Centre (JMSC) became the Center for News Literacy’s first Overseas Partner. 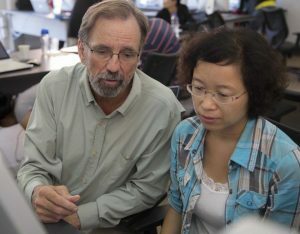 In the fall semester, Richard Hornik as a visiting professor, integrated the Stony Brook curriculum into the JMSC’s introduction to journalism course, Principles of Journalism and the News Media. Since then the course, as modified and adapted by Dr. Masato Kajimoto and Ms. Anne Kruger, has been taught to almost 1,000 students. Dr. Kajmoto launched the Asia Pacific Digital Citizenship Project in 2013 as a way of institutionalizing the propagation of News Literacy in Asia. Since then, he and his colleagues have co-hosted News Literacy training institutes with the Center for News Literacy in Hong Kong in 2013 and 2014 and in Yangon in 2015, with more than 45 Asian educators participating. In addition, he has led workshops on News Literacy in Ho Chi Minh City, Hanoi, Yangon and Kuala Lumpur. Perhaps the most significant contribution by JMSC was the creation of a News Literacy massive open online course on the edX platform in 2015. That in turn became the foundation for a MOOC for Coursera jointly produced with the Center for News Literacy. Dr. Kajimoto now serves as an affiliated faculty member in the School of Journalism at Stony Brook University as well. In December 2012, 5 faculty members from the USSH Department of Journalism and Communications attended a 2-day training session in Phnom Penh led by Richard Hornik. Within just two years, the Department had published a 100-page News Literacy textbook in Vietnamese, a Manual for Smart Readers, and used it as the basis for five 2-day workshops in four southern Vietnamese cities, with 277 university students attending. The Department now incorporates news literacy concepts into 5 of its required courses. Most impressively, it developed a 3-hour lecture for the general student body in 2015, and at the beginning of the Fall 2016 semester all 8900 incoming students at the Vietnam National University (HCMC) were required to attend one of the multiple lectures presented by the Department. Under the terms of a Memorandum of Understanding between Stony Brook University and the Vietnam National University (Ho Chi Minh City), the OPP is funding the updating, editing and publishing of a new version of the Manual for Smart Readers, which will be both distributed and sold. In addition, the faculty is working with local high schools to introduce News literacy concepts. The Vice President of MIT, Dr. Maung Maung, attended the first News Literacy Workshop in Southeast Asia in Phnom Penh in 2012. In 2014 he sent Lecturer La Wun Ye to the Hong Kong News Literacy Summer Institute and since then she has a News Literacy course, Principles of Journalism (following the Hong Kong model), to almost 100 students. MIT co-hosted with JMSC and the CNL a News Literacy Institute in December 2015 to train Asian educators. In addition, a the three organizations collaborated on a 3-day workshop for Myanmar journalists and civil society organization staff. MIT is currently developing a journalism major with the help of the Stony Brook School of Journalism. Following the training of three faculty members at Stony Brook in 2014, the Dean of the Faculty of Political Science and Journalism announced the creation of a Center for News Literacy in Eastern Europe and Central Asia in early 2015. Since then, the three faculty members have introduced a News Literacy course that is now mandatory for all Journalism majors. The Center annually offers a News Literacy Summer Institute for educators from the region. Since 2015, 28 university level educators from Eastern Europe, Russia and Central Asia have completed the one-week course and are now employing elements of news literacy in their teaching. In order to formalize the partnership between the Center for News Literacy and the Faculty of Political Science and Journalism, Stony Brook University and Adam Mickiewicz University signed a Memorandum of Understanding in 2016. In addition, to hosting additional Summer Institutes, the Faculty has begun development of news literacy courses in conjunction with three Poznan-area high schools. Since 2013 six faculty members of the Faculty of Communications, Media and Design have attended News Literacy Summer Institutes. The Faculty now offers News Literacy courses every semester. In 2013-2016 the Course was attended by about four hundred undergraduate students. The curriculum includes lectures and seminars and consists of two modules (62 academic hours). The aim of the course is to show that news literacy develops "critical thinking" and "critical autonomy" of the audience, and media literacy should be part of the media ecosystem and society itself. The non-standard view for media-students when looking at news (a view from the perspective of the average consumer, rather than the producer's information content) allowed students to see the complexity of the problems of the modern information field, qualitatively change the perception of the news as a tool of mass communication as a whole and realize its manipulative possibilities. In addition, since 2014 School of Media (HSE) has hosted two International Conferences on Media Literacy and Media Education (which included the News Literacy section) and will be holding a Third Conference in April (https://cmd.hse.ru/en/mediaconf/2017/). In 2015 School of Media created a two-year Media Course for all HSE students. The first semester is «News Literacy: news as an object of manipulation. In 2015-2016 over 250 students from non-journalist faculties preferred this course to others suggested. More than 60 students from more than 20 Russian cities participated in workshops in St. Petersburg and Yekaterinburg. In 2017 in Moscow HSE hosted the first News Literacy workshop for media teachers and educators from Russian schools and universities.